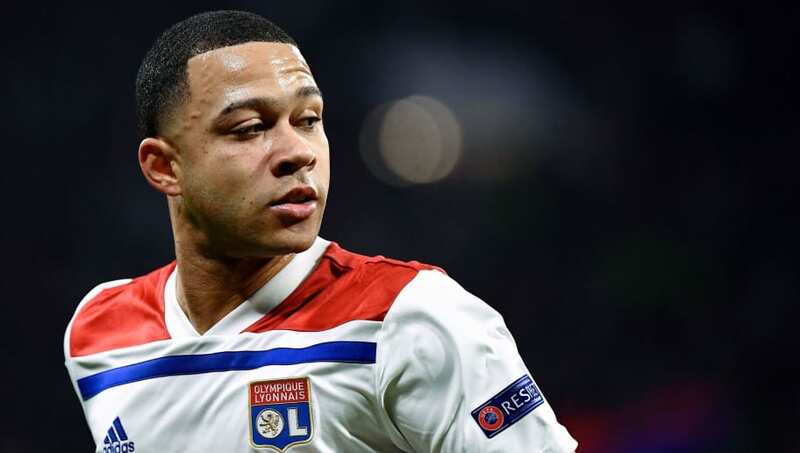 Memphis Depay has been urged back to the Premier League to join one of Manchester United's rivals by former Arsenal star Robert Pires. Depay spent two seasons at Old Trafford and was dubbed a flop by many of the supporters before he could make a name for himself at the club. Jose Mourinho shipped the Dutchman off in 2016 to Lyon and he has been enjoying his football ever since. The 25-year-old scored twice in the Netherlands' most recent match against Belarus and there is talk that he could return to the Premier League with Liverpool. Following the match against Belarus, Netherlands manager Ronald Koeman held Depay in high praise by stating: "I say it every time, he is a great player. He may be going through a lesser phase at his club, but if he feels free and has confidence, he can do a lot." Aside from Pires, current Liverpool stars Virgil van Dijk and ​Georginio Wijnaldum have also backed Depay and see him as a perfect replacement for Philippe Coutinho at Anfield. Liverpool are set to spend in the summer after a particularly quiet January window and Depay looks like he could be the attacking-midfielder that Jurgen Klopp has been searching for since Coutinho's departure last summer. ​The Reds are set to continue their fight for a Premier League title when they take on Tottenham on the final day of March in a match that could define their title aspirations.